A rarely available, stunning, spacious modern detached villa which offers flexible accommodation, located in a desirable child friendly Cul de Sac in close proximity to the Dams to Darnley Country Park. As you enter the property, the reception hallway leads to both the Lounge and Family Room. The Family room is an excellent space and has flexible options as a second living room or as a games/entertainment area. The lounge has a real flame gas fire with French doors leading into a spacious open plan kitchen and dining room. The modern kitchen has integral dishwasher, larder fridge and freezer. The breakfast bar separates the kitchen from the dining area from which French doors lead into a spacious decking and entertainment space overlooking the large garden grounds. With South Westerly aspects it is a fabulous spot from morning until evening. Also on the ground floor is a modern, fully tiled WC and a fully fitted utility room. On the upper level of the property there are 4 double bedrooms and a study. Storage will not be an issue in this property as two of the bedrooms enjoy triple wardrobes and the loft has been extensively floored. The study is a flexible space and can be utilised as a home office or perhaps a nursery. The family bathroom is also on the upper floor and the large master bedroom has a luxury en-suite bathroom which benefits from under floor heating. The property has gas central heating, a fully maintained combi boiler and double glazing. Externally, there are large gardens, a shed which has power and lighting and a driveway . 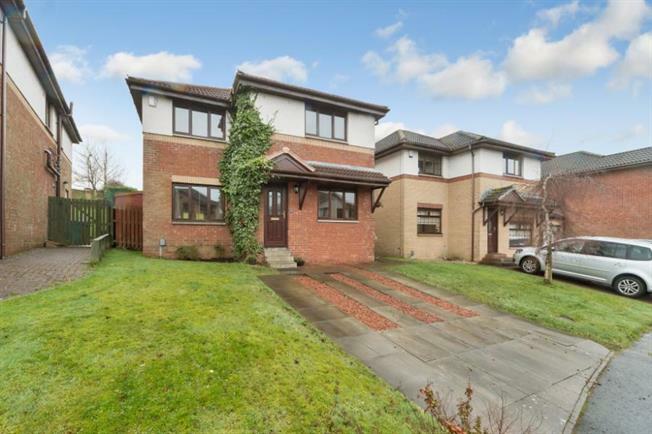 Locally, the property is in walking distance to a number of primary and secondary schools. St Lukes High School is close by and there is a brand new school (Barrhead High) due for completion in summer 2017. There are a range of fantastic walks and bicycle routes as well as fishing, golf and other country pursuits in close proximity. Springfield Grove is well placed and is within easy reach of Glasgow International Airport, Glasgow, Newton Mearns and Paisley. Barrhead itself offers local shopping, sports/recreational facilities at the recently upgraded Foundry Sports Centre. Train Services run regularly to Glasgow City Centre and to Ayrshire and the Borders.. Early viewing is recommended to fully appreciate this attractive and well maintained accommodation.